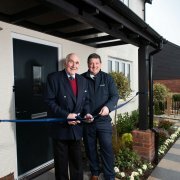 Lord Clinton performed a ribbon-cutting to mark the official opening of our new show home at Alfred’s Gate in the East Devon village of Newton Poppleford, near Sidmouth. Also at the event were Charles Fane-Trefusis, the son of Lord Clinton, Malcolm Williams of Harrison-Lavers and Potburys, John Baulch and Paul Osborne of LHC Design who designed the masterplan for the area to reflect best practice in sustainability, our Build Manager Andy Sykes, and Charlotte Buggins of LiveWest, who will provide the affordable housing. 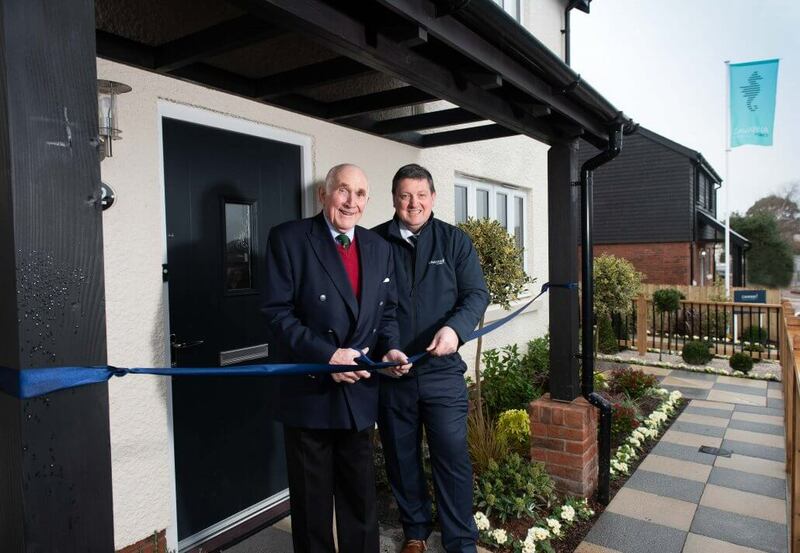 Our show home and marketing suite at Alfred’s Gate is open Thursday to Monday from 10am – 5pm. For more information about the collection of new homes, please call our sales advisor on 01395 548016. We look forward to welcoming you.